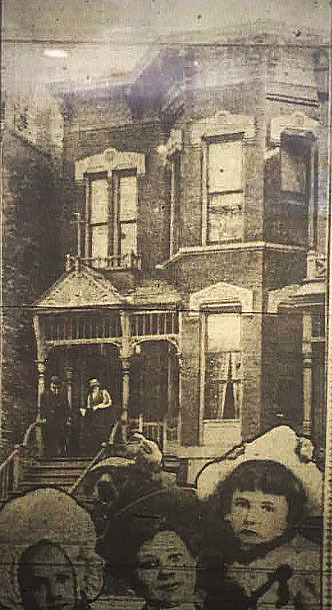 Neighbors who lived near St. Joseph’s Home for Orphans on East 35th in 1908 thought there was something awfully strange about the place. It was a religious home, run by a priest and few nuns, but they sure seemed to party hard there. And late into the night, too. 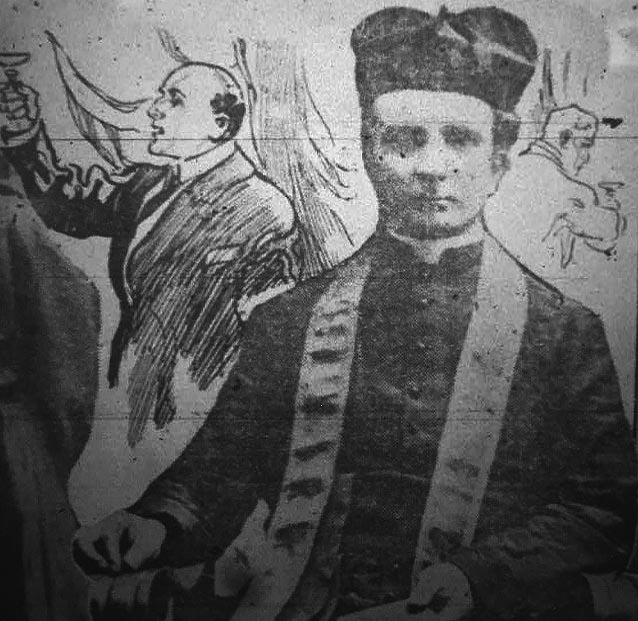 Fathern Anton de Lubicz, the priest in charge, was a fraud. Like Sam Cardinella, he seems like a guy who read a Dickens book and thought it was an instruction manual. In Cardinella’s case it was Oliver Twist, and for de Lubicz, it was Nicholas Nickleby, in which Nicholas works at Dotheboys Hall, a boarding school where headmaster Wackford Squeers pockets most of the money he should be spending on the care and feeding of the inmates and spends most of his time beating the kids and forcing them to do hard labor. That’s about what St. Joseph’s seems to have been like, with the added twist that Anton de Lubicz claimed to be a priest. Three “nuns” were sent out daily to collect alms, bringing in about $12 a day each. The sisters were required to bring in $12 a day fro mbegging, or Father de Lubicz would be “very severe.” The Sisters of Charity outfits were never questioned anywhere. The Armour company donated fifty bucks; ledgers had Schlitz and Atlas brewing companies down for ten bucks each. Ledgers listed smaller confirmations from several other companies – mostly brewers. “When our day’s work was over,” said “Sister Fideljon” in the Chicago American, “we had a good time. We took off our charity gowns and put on our other dresses. The father used to bring his men friends to the house and would entertain them until late at night. The children were beaten frequently; if they did not obey any of the nuns or the father they were soundly thrashed.” One nun told the Examiner that the beatings were administered with a horse whip. The orphans were literally eating gruel; the servant who informed the cops said she’d been given only $3 per day to feed as many as 18 inmates. According to the Examiner, breakfast was usually small amounts of oatmeal and rye bread, lunch was bread and butter, and dinner was a small bowl of soup. A member of the anti-cruelty society inspected the place and was appalled. It smelled like sewer gas, the children were barely fed, and there was garbage everywhere. The cops launched a raid on the place a couple of days later. The next month, he was found guilty of cruelty to children and fined $5. He was still on trial for other charges related to the orphanage when he skipped his bail and went to Canada, where he was caught again in January, 1909. He was extradited back to Chicago, but I’ve yet to find any data on what happened to him. 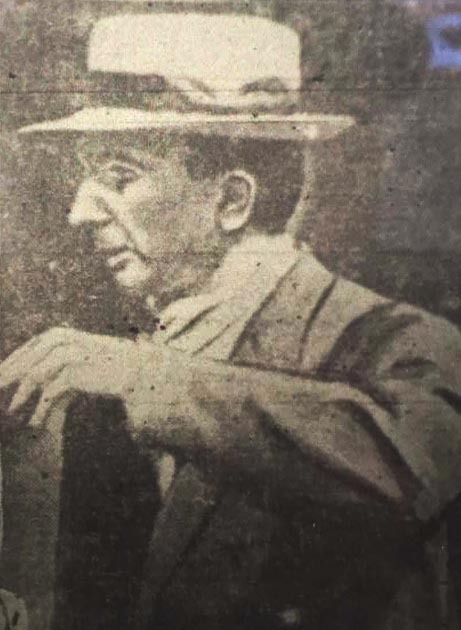 Tribune of 16 Feb 1909 (p. 3) says that "Through a letter received from the bureau of immigration at Washington, DC, the police have learned that the "Rev." Antonio de Lubicz, wanted in Chicago for jumping a bail bond, cannot be brought back from Canada… "In reply to Capt. O'Brien's request for extradition proceedings, the immigration authorities wrote that as De Lubicz was an alien he was debarred from entering the United States if convicted in Canada of a crime involving moral turpitude."